This is 'hothead time'. Things should first cool down (and with that rationalised again). First then we can properly estimate how things will play. 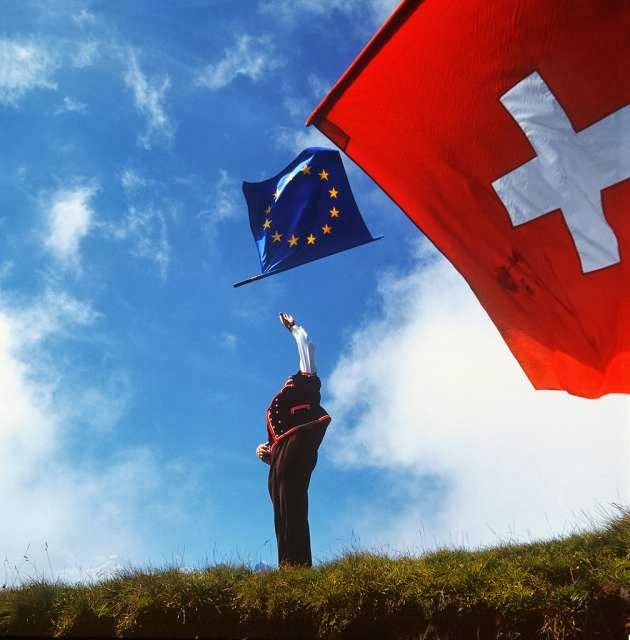 As I see it in most of these treaties there is likely in absolute amounts more advantage for the EU than for Switzerland. Overall even with limited immigration (which was from the start anyway limited the other way around) it still looks a very good deal for the EU. And that is compared with what the Swiss got out of that, not with the de facto childish sanction scenario which simply will see 10 Bns (in that region likely) in trade exports gone (most EU products are pretty expensive and a lot has limited pricing power). Plus 10000s EU workers possibly send home (most to unemplyment centres like Italy, France and Portugal). Also there EU workers are pretty expensive. You likely can have your well educated Indian for half even if the job has to be done in Switzerland. Of course there is a social dimension as well that would speak for EU employees. On the immigration front, when the Swiss economy would take a hit it is not hard to predict who will be fired first and send packing.